352 pages | 16 B/W Illus. Featuring high-level analysis of Islamic law, this book examines fintech in Islamic finance from both theoretical and empirical perspectives. Whilst building on existing approaches, it also discusses the current application of fintech in promoting financial inclusion within Sharīʿah law, identifing future directions for policy-makers. With original chapters written by prominent academics, senior lawyers and practitioners in the global Islamic finance industry, this book serves as the first standalone pioneering reference work on fintech in Islamic finance. It also, for the first time, examines the position of Islamic law on cryptocurrencies, such as bitcoin. 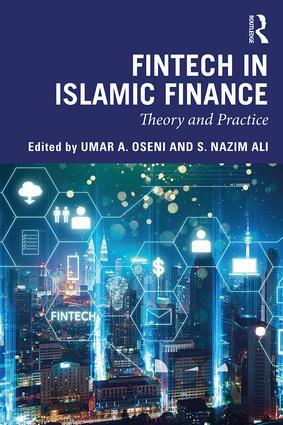 Besides the conceptual analysis of the Sharīʿah and legal aspects of Islamic finance, this book provides relevant case studies showing current and potential developments in the application of fintech in various sectors ranging from crowdfunding and smart contracts, to Online Dispute Resolution, Investment Account Platform and identity verification in the KYC process. Setting the agenda for researchers in the field, Fintech in Islamic Finance will be useful to students and scholars of Islamic finance and finance technology. Umar A. Oseni is an Executive Director of the International Islamic Liquidity Management Corporation. He was an Associate Professor of Law and Regulation of Islamic Finance at the International Islamic University Malaysia. S. Nazim Ali is Director of the Research Division of the College of Islamic Studies, at Hamad Bin Khalifa University. He was the Director of the Islamic Finance Project at Harvard University from 1995 to 2014.